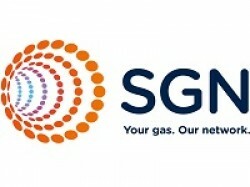 SGN is the UK’s second largest gas distribution network company. Operating across Scotland and southern England, we deliver a safe and reliable supply of natural and green gas to 5.9 million homes and businesses through 74,000km of gas mains and services. Our vision is to keep our customers safe and warm by leading the way in energy delivery. We’re committed to exceeding our stakeholders’ expectations by delivering value for money and exceptional customer service, while innovating for a safer, more secure and sustainable future.